Lifehacker just ran a great article — “Craft a Better Presentation with Zombie Apocalypse Principles.” It’s a zombie-themed advice column on making your presentations better. While they wrote for a more general audience, I thought my preaching friends might enjoy the article, too. Know your endgame. Indecision and meandering get people killed in zombie movies. They kill audiences with boredom and irrelevancy, too! Be Clear and Kill the Vague. Again–anything “extra” is just dead weight that distracts from the main idea. If it doesn’t serve a purpose, lose it. Be Ready for Emergencies. They’re talking tech, here. Know what you’ll do if your PowerPoint crashes. Have a backup plan to minimize that risk. Do you have your own dry erase markers? The ones that the venue might be dried out. Plan ahead. Create Community. They quote Walking Dead: “Stray from the pack, you become a snack.” In a presentation, you want everyone with you, going the same place. Plan the “next steps” after the talk that will allow people to immediately act on what you’ve taught. These are great suggestions for preaching, too. I’d like to chip in a few of my own. Be Bold. Fortune favors the bold, right? Don’t be afraid to speak strongly and passionately. Leaders lead! The sermon might not always be for everyone–but it will be clear. Go for Bodies and Brains. Zombies are bodies hungry for brains, right? I like to divide a person into three parts (no, not literally!) — head, hands, and heart. The head is intellect. Preaching should speak intellectually. The hands symbolize action. Good preaching should call towards godly action. The heart symbolizes our feelings. A sermon that tells you what to do and how to do it, but that fails to answer the “why” with a motivation will fail. It’s a brain without a body. Make sure to hit the whole person. Urgency. The great thing about zombie movies is the sense of urgency. If the characters don’t find water, they will die. If they don’t build this barricade, they will die. The movies are filled with urgency. Good preaching should be urgent, too. If it is important, treat it like it’s important. If it’s not important, why are you wasting my time by saying it? I should probably leave this one alone — but sometimes you feel like you’re standing before a room full of people that want to eat you. Other times, you might feel like it’s just a brainless horde! But whatever crowd you’re in, these tips will help sharpen your presentations. 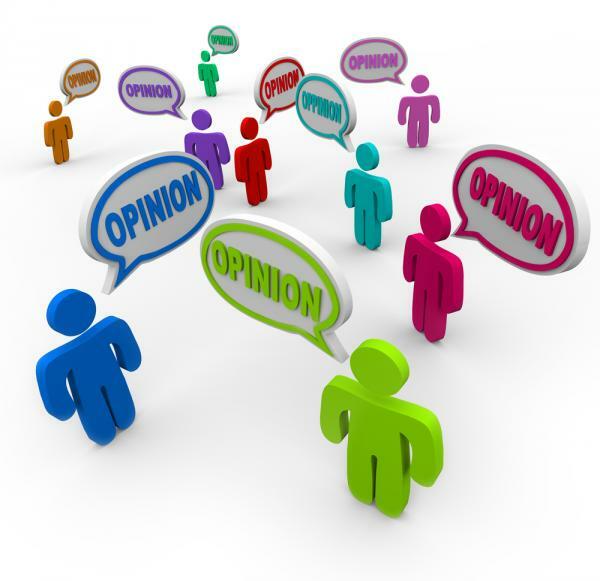 What to do with opinions? That’s how radio character Makk Truck would sign off his daily comedy bit on WSIX on the House Foundation each day. It was a funny way to end a goofy rant on the radio, but in reality, it’s how most of us feel. After all, if I believe something, I believe it to be correct—so you should, too. SECOND: Keep them to yourself. Proverbs 18:2 is great: “A fool takes no pleasure in understanding, but only in expressing his opinion.” You don’t have to share everything you know. Paul said that knowledge can puff up while love builds up. Sometimes the best thing to do is do nothing at all. THIRD: Use your opinions to restrain yourself, but not others. It’s not our job to judge our brothers—that’s God’s prerogative. Read the rest of Romans 14 and you’ll see that for yourself. One of our heroes in the faith, Thomas Campbell, wrote a document called Declaration and Address in 1809. While encouraging us to go back to the Bible and reject human creeds and divisions, in section #6, he warned the church to be very careful not to bind the things that are not explicitly clear in scripture on others as a test of fellowship, lest we raise our own beliefs to the status of scripture. I wish that we all agreed on everything, everywhere—but we don’t. How we navigate the uncertainty of our opinions can make us or break us as a fellowship! I like Halloween. It’s always fun to see what costumes you come up with at Keith and Donna’s house. I wasn’t here for the year that there were two Glenn and Connie Buffingtons, but I do remember seeing lots of ghosts, cowboys, super heroes, and more. At Halloween, we put on masks and pretend to be other people (or other creatures). I think it makes a pretty good reminder that people around us are wearing masks all year round. Most people don’t live their lives in “Superman” masks—but sometimes they wear an invisible mask that tries to hide pain and sadness that hasn’t been dealt with. They pretend that an insult didn’t hurt or that they didn’t mind being overlooked. They’re always “fine” in words, but never in reality. Very few people walk around at work in masks that have other people’s faces on it, but many people do have invisible masks where they try to project a different image of who they really are. We try to look richer than we are or younger than we are. We spend money we don’t have to impress people we don’t like. It’s a game we can’t win! Sometimes we even have a “church mask” that we wear. We pretend to be perfect, pious, and put-together, and hope that nobody notices that it’s only hanging on by a string. Masks at Halloween are fun, because we’re all in on the joke. We can play pretend and have a good time, but the masks we wear every day in our lives aren’t healthy because most people don’t see what’s really going on, and sometimes we haven’t dealt with reality ourselves. When we pretend to be something else, we deny ourselves the help that we so desperately need. Let’s make sure we don’t wear our masks anytime besides Halloween this year!